Mumbai-based venture capital firm IvyCap Ventures is tying up with Chinese investment firm Incapital to promote investments from Chinese investors into Indian startups. The partnership between IvyCap Ventures' initiative IvyCamp and Incapital's Zhucloud initiative will allow more than 30 Chinese early-stage VC funds to access and invest in Indian startups, IvyCap said in a statement. The Chinese VC funds include Cyber Carrier, Fenghou Capital, Legend Capital, Plum Ventures, Grand View Capital, K2VC, Hill House Capital, Fusion Capital, Heli Capital and Chengwei Capital. The partnership will facilitate startups to pitch to this pool of investors at events in Mumbai and Bengaluru in November. These funds will invest between $200,000 and $2 million in early-stage startups in healthcare, fin-tech, e-commerce, and Internet of Things segments, according to the statement. "We have seen interest from the Chinese investment community to invest in Indian startups and through this partnership we aim to facilitate these investments," Eric Shu, director, Incapital said. IvyCamp and Zhucloud will also cross-leverage knowledge by getting Chinese mentors, incubators and accelerators onto the IvyCamp platform. IvyCamp, a unified technology-based platform for innovation and entrepreneurship, connects entrepreneurs with mentors, investors, incubation centres and other resources, all built through alumni networks. IvyCap Ventures is an early-to-growth-stage venture capital firm which backs startups floated by alumni of top engineering and management institutions such as IITs and IIMs in the country. 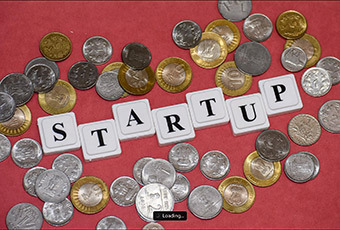 The company, which is raising its Rs 600 crore second fund, has made investments in Aujas Networks, FieldEz Solutions, Vinculum, E-Shakti, Leixir Labs Purplle.com, Sokrati, Bluestone, Clovia and Taskbob.